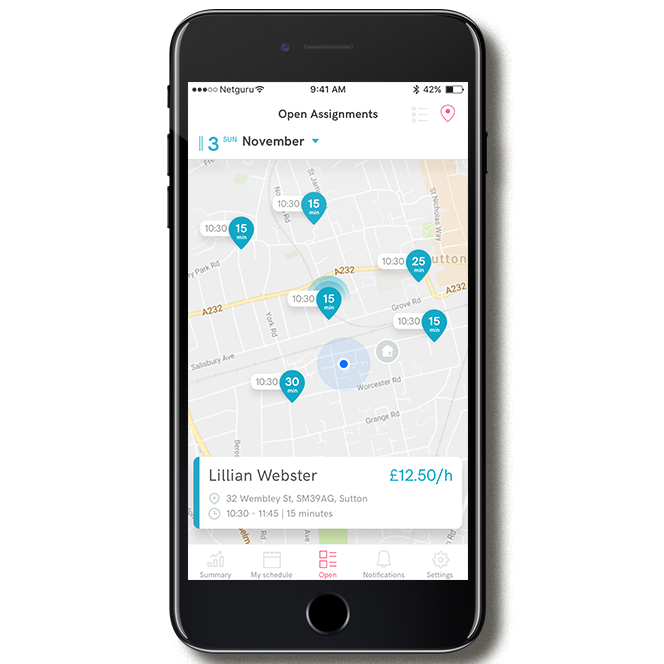 Netguru's mobile developers created an application for iOS and Android that connects care workers directly with people looking for their services. Do you have a good idea for an iOS app? Netguru is a software development company with motivated iOS app developers and full-stack programmers providing professional development services. Whether you need Objective-C or Swift developers, you can launch your iOS application with the best result. We provide our top iOS developers to help companies grow their development teams. You can either hire a team of iOS developers or add iOS programmers to your cross-functional team. iOS and Android are the two most popular platforms for mobile apps. While creating a mobile app it’s important to hire highly-qualified experts to provide professional services for both platforms in the area of wireframing screens, building UIs, and testing the final product before showing it to your end clients. If you want to deliver a high-quality cross-platform mobile application, please visit our React Native page. Suggest It is a mobile application built by Netguru's iOS developers. It is a digital announcement board for local events. 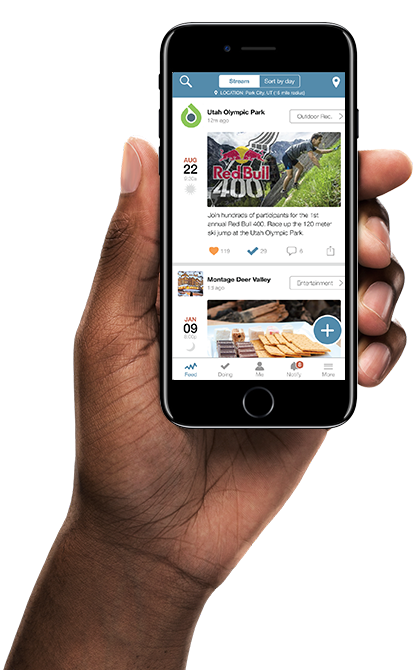 Working on Suggest It was quite a challenge, but we managed to redesign the iOS app and web site, which reduced their size by a factor of 3. We support entrepreneurs across the globe. We work with startups and well‑established enterprises and help them grow their businesses. We understand their primary goal well – get a working product to the market fast. Only 4% of people who apply to us each year end up as our full time employees. Each new addition to our team is vetted by senior members, has to pass a language test and a pair coding audit. Our unique approach to software development is based on almost ten years of experience. We use machine learning to predict the outcome of each development sprint. We can accurately predict the outcomes on highly unpredictable markets. translating your ideas into products your customers can enjoy. Netguru's efforts translate into tangible results. The company itself and our specialists individually have been apprieciated in both local communities and on the international arena. We received many awards for our projects, and Netguru's culture and values have been recognised by well-established organisations. translating your ideas into apps your customers can enjoy. Netguru impressed us at the scoping session and met our expectations during the first five months of the project. I have been a development manager since the early 2000s, but Netguru's developer has stood out as exceptional. I like the communication methods and processes in Netguru. The overall feeling is that Netguru are not a different company but a part of one Campsited team. a better product with us! Product Designers at Netguru have experience in launching products successfully. They can understand business problems and find efficient solutions. Check out also the other services that we offer. We deliver high-quality products on time. Hassle-free. Our process is built around quality-driven Ruby on Rails development.